Armed with a simple yet stylish revolver and six devastatingly plump bullets, you must reset the security mainframe to restore order and reap the rewards of a job well done. Life Decisions - Invest in items like Life Insurance or a Last Will that, if carried during the time of your unexpected death, will save your money, bullets, bombs, and keycards or your next attempt. 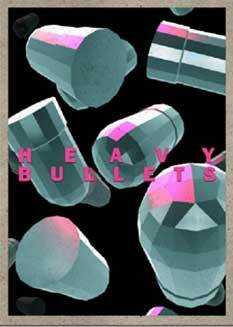 To succeed in Heavy Bullets, players will need to move carefully and make smart use of their bullets, items, and the environment as rushing into new areas is the fastest way to get killed in the untamed wild of the neon corridors. ...a refreshing, bizarre spin on a genre that could use this sort of makeover more often.